BRUSSELS — European leaders agreed with Britain on Thursday to delay Brexit by up to six months, saving the continent from what could have been a chaotic no-deal departure at the end of the week. 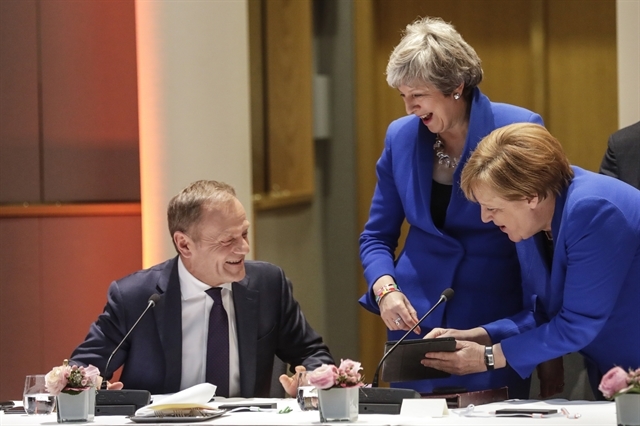 The deal struck during late night talks in Brussels means that, if London remains in the EU after May 22, British voters will have to take part in European elections -- or crash out on June 1. Labour, and the discussions are moving slowly. Addressing MPs back home, who have rejected her withdrawal text three times, she said after the summit: "The choices we now face are stark and the timetable is clear.